Much of online retailing revolves around the idea of a slippery funnel designed to push visitors as quickly as possible towards conversion. It’s a transaction paradigm that heavily influences how we practice and measure successful ecommerce. 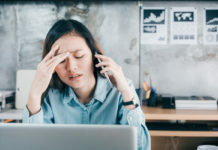 But with digital disruption becoming more entrenched in consumers’ lives, product strategists and creative retailers alike are starting to recognize the limitations of this mindset as they seek new ways of generating and capturing revenue. Taking a page from online gaming, many are shifting away from existing channels in favor of developing new and disruptive product experiences first, and then working backwards from there to create custom monetization methods that fit them. In this upside-down paradigm, conversions and transactions become subordinate to the quality of the digital relationship and the overall experience of interacting with a brand over time. 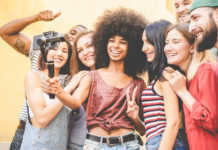 A winning product experience is so delightful, entertaining, or genuinely useful to consumers that many will convert and spend almost automatically when presented with the right offer, in the right context, at the right time, using the right monetization method. The goal for merchants shifts from maximizing the value of individual transactions to boosting customer lifetime value over the course of a perpetual relationship. Since this can only be achieved by monetizing frequently over time, the most fundamental metrics are no longer conversion rate and average order value, but engagement frequency, duration, and quality. Obsess about minutes of engagement. 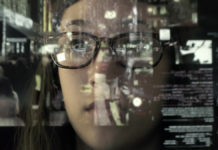 In your Customer Intelligence efforts, resist the temptation to focus solely on traditional metrics like number of transactions, page views, or average revenue per user. Instead, use the same metric that digital disruptors shoot for; Facebook was explicit at its recent F8 conference that it was overhauling its bridge to the consumer in order to increase a crucial metric called minutes per day. Even an additional 5 minutes per day can deepen your relationship with the customer, generating more data, creating new revenue opportunities, and, ultimately, giving you more prominence in the mind of your customer. This schematic shows a hypothetical digital relationship for a mobile gaming company, and in it you can clearly see that there’s no real urgency to convert customers quickly, as there might be in a traditional sales funnel. While the first monetization event (marked in red) doesn’t occur until well into the conversation, once it does, the quality and desirability of the experience itself stimulates continued engagement and consumption. Let’s look at a few real-world examples. 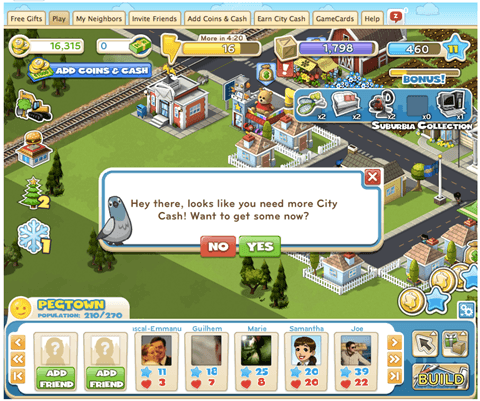 In our 7 Dimensions of Facebook Commerce post, we mentioned that Zynga sells over 38,000 virtual items each second across its range of social games. Yet the strength behind this impressive statistic is a robust foundation of engagement KPIs – numbers that show Zynga players averaging 8 sessions per day at 5-7 minutes per period, and so-called “whales” playing for over two hours daily. That’s a lot of opportunities to sell them coins and farm animals. 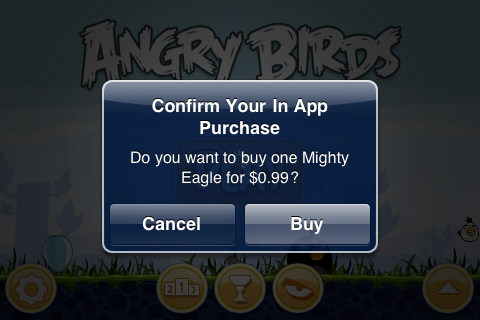 In a similar vein, the 300 million minutes per day that consumers around the world engage with various iterations of Angry Birds affords Rovio tremendous opportunities to trigger transactions using a broad range of monetization methods – including paid apps such as the original iOS title, advertising revenue from the free Android edition, or in-game downloads like the Mighty Eagle. In both of these examples, the most important principle is that monetization methods were built or chosen to enhance and complement engagement with a compelling product experience, not the other way around. It’s an easy enough concept to envision for gaming, but what about in other verticals? 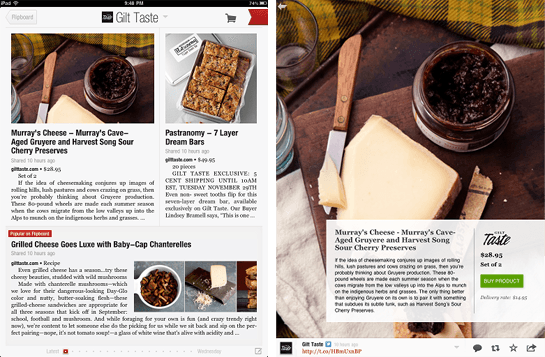 In the case of Gilt Groupe’s recent joint project with mobile news and social aggregator Flipboard, it is quite clear that the quality and duration of readers’ interactions with the content will have the greatest impact on the success of this venture. Although conversion rates and order values are still important metrics here, it is the engagement indicators – a measure of how compelling the experience is to users – that will ultimately dictate how much demand can be generated. 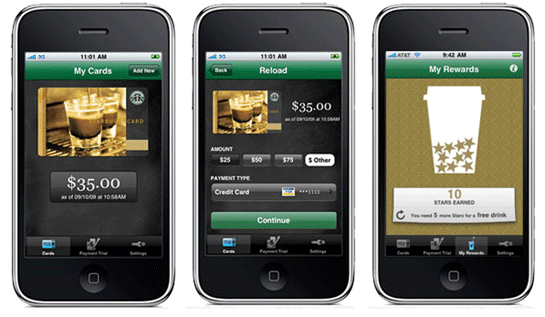 Finally, the Starbucks Coffee app is a wonderful example of a compelling digital product experience from a very unlikely vertical, as well as a good illustration that minutes are not the only measure of engagement. For over a million users, it’s not only a seamless extension of the Starbucks brand, but also a perpetual in-store companion thanks to its genuine utility. 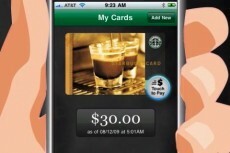 By making it the fastest payment method, and then adding good account management features, rapid reloading, and a loyalty program that shares many characteristics with the best social games (I admit that I was thrilled to “level up” and achieve Gold status recently), Starbucks ensures that its best customers will keep coming back to its app again and again. 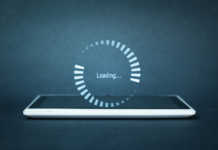 Each ‘touch’ may not last long, but like a Zynga game, these digital interactions and monetization opportunities occur both frequently and predictably. Based on their Q3 2011 earnings call, Starbucks’ approach is clearly working. To date, over 26 million payments worth $110M have been processed through the app, and over $50M is currently loaded onto over a million mobile devices. Word on the street is also that it also drives more frequent store visits, as well as increasing brand loyalty among users. 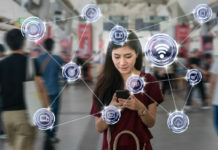 Each of these examples illustrates how starting with a deep understanding of engagement, then creating a compelling product experience around it, and finally building or selecting appropriate monetization methods to fit that experience, is the most effective way to implement a disruptive digital commerce strategy. Looking for help with digital commerce? 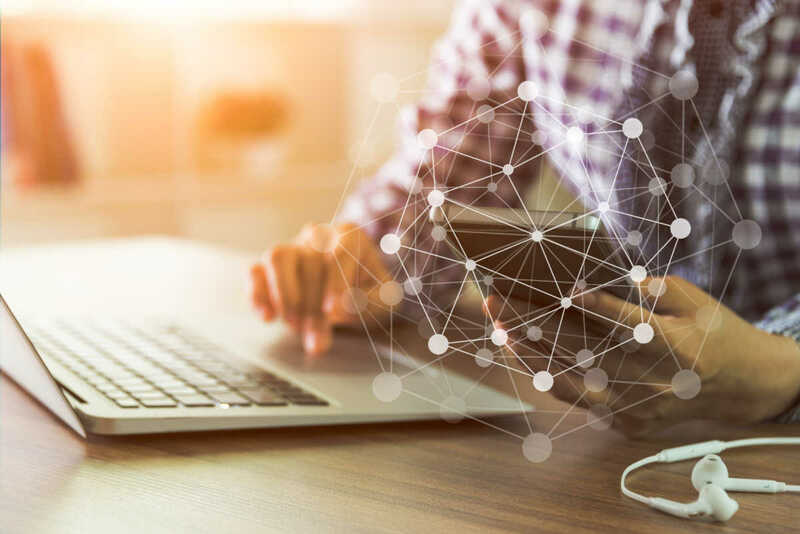 A new report from Forrester Research examines the technology behind successful digital commerce, provides tactics for selecting a digital commerce solution, and looks at the digital commerce platforms available on the market today. Get your complimentary copy of Market Overview – Digital Commerce Solutions 2011 here. David is Ecommerce Industry Strategist at Elastic Path. David is a veteran internet commerce and marketing specialist, with fifteen years of experience delivering business solutions to Fortune 500 companies. 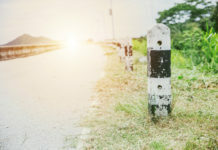 Prior to joining Elastic Path, David was Director of Product Management at a global ecommerce software company and an award-winning information architect and designer for prominent interactive marketing agencies including Publicis Modem and MacLaren McCann, where he was a senior creative responsible for the online positioning of key consumer brands including Johnson & Johnson, Nestle, RBC Financial and Rogers Communications. He is a graduate of the University of Guelph, with a BA in Information Systems and Human Behavior.